This week the teacher took time to look really closely at the Common Core State Standards as well as the Colorado Academic Standards to asses which standards we have taught and mastered by the students, which are still being learned and ones that have not been taught yet. The 2nd grade math, science and social studies teachers discovered that we have taught all but two pieces or skills addressed in the math standards. We were also able to look at the Colorado Academic Standards for science and social studies. Our second graders at Bill Roberts have already mastered the standards in social studies and we are excited to work through our last two science units. It is amazing to see how much our students learn over the course of a year! This week we were able to continue our work with Michelle from PEBC. 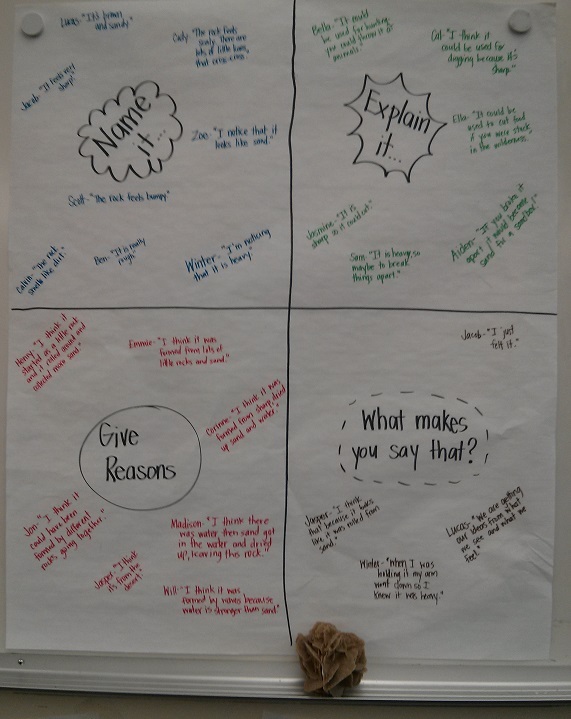 We focused on Chapter 8 in "Making Thinking Visible" and shared with our colleagues about the thinking routines we have tried in our classrooms. 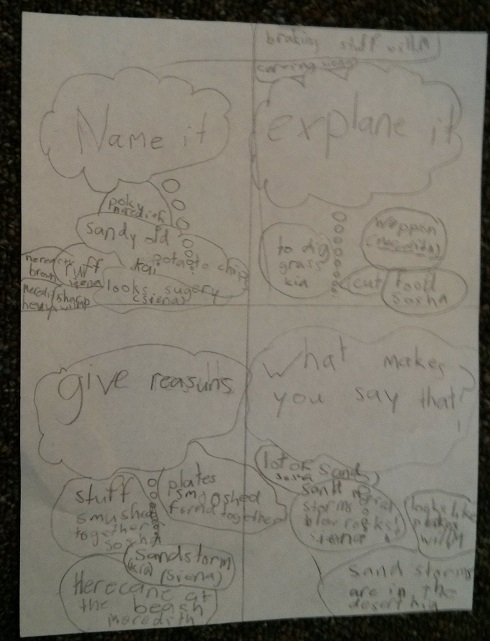 I shared about "See, Think, Wonder" a new routine I tried in a science lesson. We are currently working on the rock cycle so I used a picture of sedimentary rocks. The students had some really great questions and ideas surrounding the photo-I invite you to come in our classroom and see their amazing work! They are doing so well using their 2nd grade writing skills in each of the content areas now that Jaime and I have been focusing on this for our PCKI work. It is wonderful to see it coming into view more and more the past few weeks. Today we were able to continue working on our PCKI focus groups. Jaime and I began our writing goal work a few weeks ago and it has progressed over the past few weeks. Just to update you a bit on the papers you may have noticed coming home, we started with Jaime writing goals for each student in their writing areas. We quickly realized how time consuming this would be to do on a weekly basis, which is what we really wanted to have happen ideally. So we decided that we would teach the students how to write their own goals, which we call 'SMART goals'. We have been working over the past two weeks to be really explicit in our teaching and really allow the students the time they need to really be reflective about their learning. They have worked on creating goals for themselves in math (the papers that came home last week) and this week they are looking even better! Now that we feel they have a good foundation in goal writing, we will work on having them write specific goals for themselves in writing. We look forward to seeing how this transforms over the next few weeks. How amazing is it to see second grades setting goals for themselves and reflecting about themselves as learners?! This week for PLCs we had a presentation from our RTI (response to intervention) team. We discussed various types of assessments that we use in our classroom (summative, formative, pre-assessment, standard based, etc.) and were able to collect ideas from other teachers. 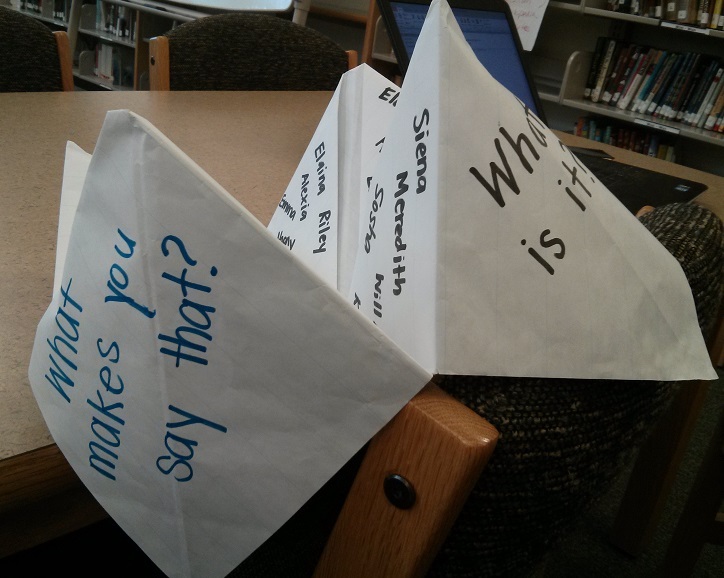 This week we had an all staff T-CAP training. This is district mandated so that we can properly administer the upcoming T-CAP tests. We then had team collaboration and planning time in which we looked closely at the standards we are currently teaching to make sure that we are encompassing all aspects. I really value the time in which we can share and get ideas from other teachers. I worked with Ms. Willett so that we could share ideas for our upcoming fractions and earth materials units.